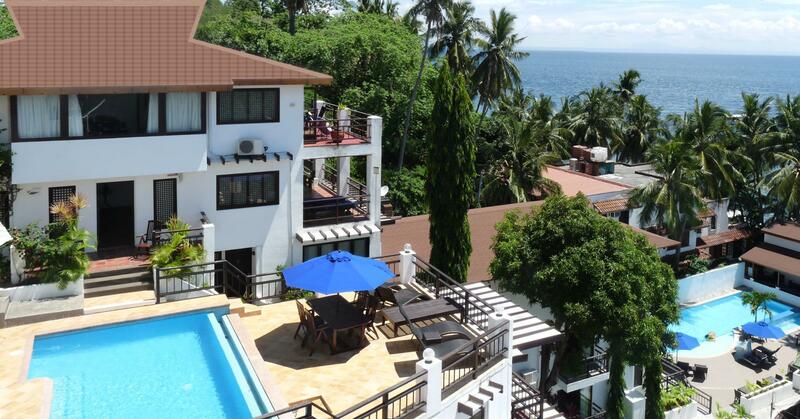 ﻿ Out of the Blue Resort, Puerto Galera | FROM $70 - SAVE ON AGODA! "Exceptional service puts this hotel above all others in the..."
Have a question for Out of the Blue Resort? "Fabulous location Super staff and fabulous food Clean and spectacular views"
"Very great place and all the people here are very kind." 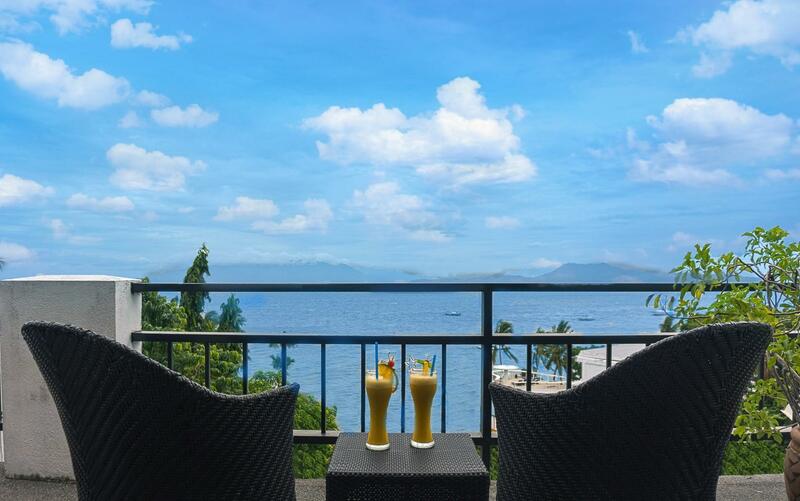 "Nice resort with beautiful sea view just in front of our villa." "Nice ambience in restaurant and convenient if you want arran..."
Out of the Blue Resort, situated on picturesque Small Lalaguna Beach in Puerto Galera, is a family owned and managed resort and features a unique blend of classical Filipino and Mediterranean style architecture – with all the necessary western comforts and conveniences. The unusually spacious 1, 2, 3 and 4 bedroom villas and suites offer stunning views and soothing sea breezes. 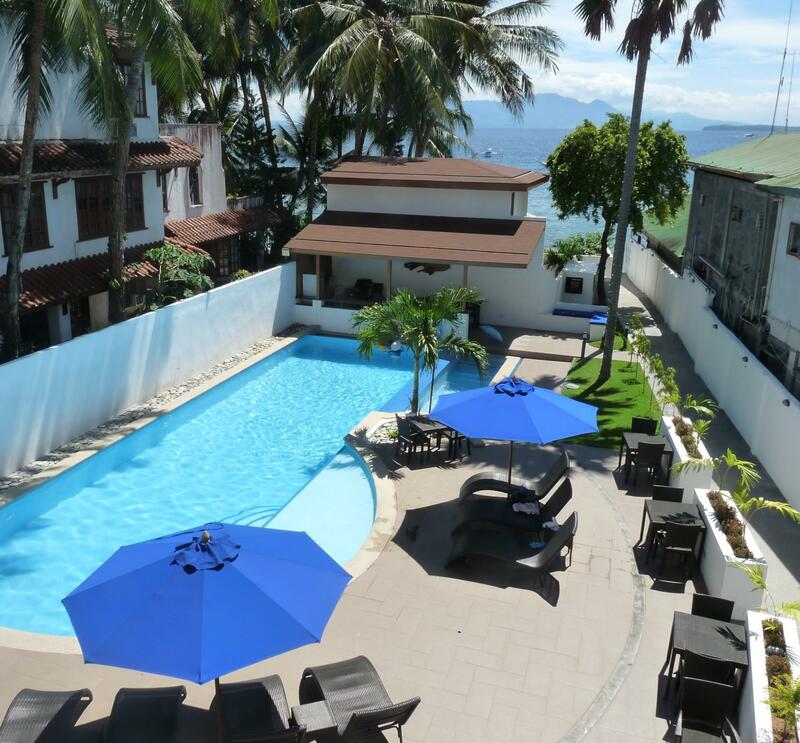 For a family holiday, romantic getaway, or diving adventure – there is no other resort quite like Out of the Blue Resort in Puerto Galera. Simply choose to relax in one of the 2 swimming pools, or on your private terrace, or enjoy great food and wine in Out of the Blue Resort’s award winning restaurant, The Verandah. Alternatively, take the plunge with the PADI 5 Star dive partners, Action Divers, the No.1 rated dive operation in Puerto Galera. Or just chill out snorkeling or swimming at a local beach. The combination of superior accommodation, great food and award winning service is why so many guests return to Out of the Blue Resort again and again. "Food at their restaurant was very good." Not far from Sabang beach and close to diving centers. However avoid the rooms upstairs (1 and 5) since they are connecting rooms and not soundproof. The staff is great and the restaurant is excellent with a beautiful view. Loved our 4br unit —- very appropriate for big groups. Overall design was well thought out and very clean. Food at their restaurant was very good. We enjoyed their happy hour a lot too. Very accommodating to our small kids. Both the hotel and restaurant staff were very helpful and top notched. Probably the best service I’ve ever had in a long time. Some considerations though not deal breakers. (1) There were ants and can’t figure out where they were coming from. I brought my baby hence a bit paranoid. (2) Location isn’t too ideal, water front but beach wasn’t really a swimming beach. A bit of a hike to get to the nice, sandy, swimming beach. I stayed here for a long weekend to go for a couple of dives with Action Divers, which is located just next door. 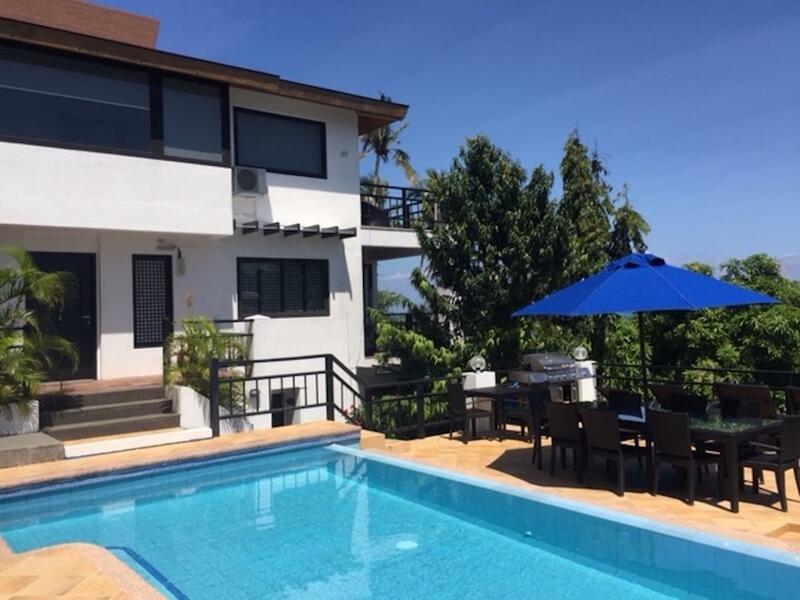 The villa was very comfortable and clean with a beautiful view from the pool deck. They had all the amenities I needed to relax after the dives. The staff were extremely friendly and super helpful, going above and beyond to get me back on time to Manila. Definitely recommend if you're going for a dive trip! Great dive resort. The WiFi was really slow, but fantastic location and great staff. The hot tub in the suite was really dated, but the room was comfortable and clean. Excellent people who know what customer service is all about. Exceptional service puts this hotel above all others in the area. Fantastic restaurant with delicious food. Their rooms are really good; rooms are wide and has Jacuzzi, staff are also accommodate their client for their extra needs (like for washing clothes). Foods are good and delicious (except that they should inform customer first the client what are the included as complement with in house guest). 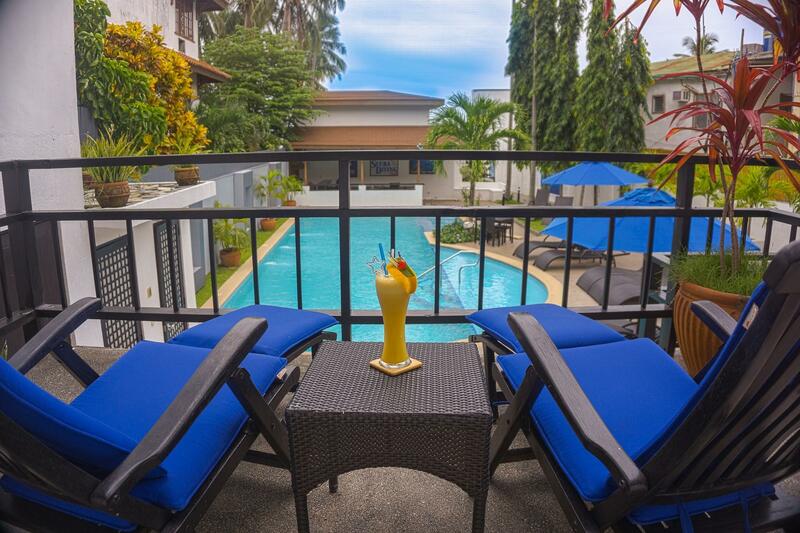 Location is also calm, it is not crowded, so guest can enjoy their pool. Only issue was the internet was spotty. very great place and all the people here are very kind. the breakfast is yummy, too. it's very enjoy on our trip. One of the best resort. Please do inform the hotel when you arrive, We forgot to buy SIM card so I can't make phone calls. So.....I grab my luggage to walk along the beach for 20 minutes.....ORZ ( if you call, they will send someone to assist your luggage.) The rest is perfect! We don't want to leave the hotel. The restaurant is perfect. Room is cozy. 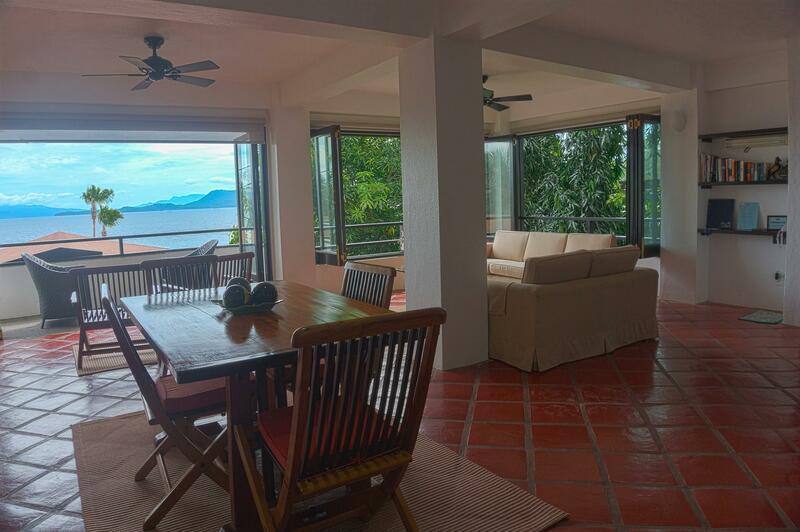 That's the real 5-star in Puerto Galera,if you're cool with the pricey,of course. Well maintained rooms. Nice ambience in restaurant and convenient if you want arrangements to go scuba diving in dive shops away from the busy area in Sabang. Action divers is right beside the resort. Nice resort with beautiful sea view just in front of our villa. All the staffs are friendly and helpful, especially Jean and her reception team. Restaurant manager is very professional in his field, we are very demanding guests but he tried to fulfill all our request. Huge villa, amazing foods at Verandah Restaurant. Banca boat n excursion were perfectly arranged for us. It was very enjoyable stays...... very good!!! Positives: Huge amount of space; includes shower, separate bathtub, full kitchen, two living-room areas and large bedroom; view is nice but obscured by the reception/bar/dining room on the level below; adjacent to a diving school; is right on the beach; included breakfast is nice, if a little small; 1KG of laundry per day included (saves washing things yourself) Negatives: Room was a little overpriced for low season (c$100USD/night); the hotel is built into the hillside so rooms are stacked above each other, consequently there are a LOT of steps to climb to get to reception and the upper levels Verdict: Try to pick a room higher up the property with a less obstructed view of the bay if it fits in your budget, but otherwise this is a very nice upmarket place to stay. Staff, View, Service, convenience, cleanliness are all top notch. If 6 stars for service is possible I would have given it. I would definitely come back again. It's like staying with a caring family. The staff in the restaurant were very friendly, provided excellent service.